The Missoulian posted an article on Feb. 18 about the responsibilities of court reporters to accurately preserve every word of a court hearing. 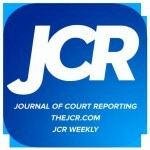 NCRA member Stephanie Morrow, RPR, from Missoula, Mont., is one of the official court reporters quoted in the article. NCRA member Julie Novak, RMR, an official court reporter from Cedar Rapids, Iowa, received the Public Service Award from the 6th Judicial District Court where she works, according to an article posted Feb. 19 by The Gazette. They say, “The lights shine brightly on Broadway.” Those people have obviously never been inside a courtroom in New York City where on most days, high drama plays out across the city, and the official court reporters of the federal and state courts are there to cover every word of the action! How does an official reporter or a staff of reporters handle a high-profile federal trial proceeding? Let’s explore some of the procedures that are employed by the EDNY reporters to ensure a successful trial. Initially, after a criminal defendant is charged and arraigned, or a civil case is filed, a district judge is assigned the case via “the wheel.” The wheel is a random selection process to spread the workload amongst all members of the Eastern District Bench. Federal courts also employ magistrate judges who work with the district judges. Their role is to handle discovery issues for the district judge. Magistrates can also take change of plea proceedings and may conduct evidentiary hearings. The reporters in EDNY work on an approximate 20-week rotating basis, meaning each official serves with a judge for five days, then the reporter moves to the next judge in the schedule. In the context of a trial, the reporter assigned to the court is the principal for that week, who is then assisted by members of the court reporting staff who may have a light calendar and may be available to help the principal. In EDNY, the staff works in teams of three reporters. Each reporter takes a one-hour portion of the trial, is then relieved by the next reporter, and then the next. This allows the first reporter, the principal, one to two hours to transcribe their portion — depending on how the trial day is divided. Relief times are adjusted according to delays in the proceedings or a shortened or elongated trial day. The goal is that each member of the trial team gets a close-to-equal share of the trial as the other members of the team. The duties of the principal reporter for the case include: keeping track of each assisting reporter on a case, tracking everyone’s pages using a tally sheet, and communicating with the parties to obtain correct ‘order’ information. A majority of the trials that the reporters cover are ordered as a daily or an immediate copy, so teamwork and communication are the keys to success. The reporters also handle their own production of transcripts, which includes printing and binding of transcripts as well as emailing, troubleshooting realtime connections, billing parties, and paying the assisting reporters. It’s not unusual for one reporter to be underneath a desk troubleshooting a connection while another reporter is writing. Preparation for a high-profile trial, or any trial, begins with solid preparation. Usually, on Thursday or Friday before each case begins, the principal reporter will create a glossary of terms for the case by scanning the Electronic Case Filing system that the federal courts employ. We also try to work with the attorneys on each case to get a witness list and possibly a CD or any bindings of any exhibits that will be used during trial. In criminal cases, we understandably won’t receive that information until the day of trial due to rules that the U.S. Attorney’s Office has set as well as the Section 3500 obligations. Once the glossary is complete, it is then distributed amongst the staff members. In cases where technical terms or foreign names will be mentioned, we will research and double-check for the correct spelling. Sometimes, additional research is required to ensure transcript accuracy. Preparation is made easier thanks to some of the case preparation features now found in our CAT software. These functionalities allow for the analysis of transcripts, and then from the lists, we can build those words into our job dictionaries. 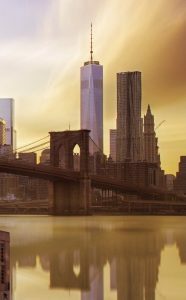 Since the EDNY has the largest terrorism docket in the United States, this is especially important since a majority of cases involve military terms, foreign names, foreign locations, and other foreign terminology. Just as an example, there are at least six ways to spell Mohammed. In one trial, there were two defendants named Sayed and Said as well as a witness named Sayeed — all of them pronounced SIGH-eed. In terrorism cases, it is required that district official reporters also obtain TS/SCI security clearance in order to report classified proceedings under the Classified Information Procedures Act. TS/SCI stands for Top Secret/Secured Compartmentalized Information. The process for receiving this clearance requires an extensive background check, as well as interviews of each candidate, friends, and past employers. a “silent switch” where the switch occurs on the next question. The switch is signaled by a nod of the head or even a tap on the shoulder. When this occurs, the first reporter stops writing and the second starts. In the realtime context, the first reporter then moves the switch box to the letter on the box that the relief reporters have assigned themselves. You know that the switch is truly silent when no one notices us entering or leaving the courtroom! This is just a quick sketch of how one courthouse handles big cases. The truth is that we handle every case like it is a big case because that’s what we require of ourselves. Monette Benoit, CRI, CPE, B.A., who is based in San Antonio, Texas, is a captioner and agency owner as well as an author of several books. She can be reached through her blog at monettebenoit.com. FOX 23 News in Tulsa, Okla., aired a story on Dec. 12 about local groups working to end the court reporter shortage in an effort to speed up Tulsa County’s case flow. NCRA member Allison Hall, RMR, CRR, an official court reporter for 18 years, is interviewed in the story. The Tulsa Business & Legal News posted an article on Dec. 5 that features former NCRA member Glenn Dorrough, a retired U.S. District Court Northern District of Oklahoma court reporter, reflecting on a 30-year career. A Nov. 28 post on JD Supra by Kramm Court Reporting provides a list of the documents that an attorney should give to a reporter before a hearing or trial. The post explains that the reporter will use the information to create a caption and appearance page as well as build a steno dictionary. Technology: In this ever-changing world, the steno machine remains a steady, trustworthy foundation upon which we must build an environment to meet client demand. The “client” may be a judge, court administrative staff, a probation or parole officer, attorneys, pro se litigants and their families, or any combination of the above. As new attorneys emerge on the scene who have been immersed in high-tech gadgetry since before they started kindergarten, the reporter’s ability to respond to their needs becomes increasingly important. Whether it is emailing transcripts in various formats or live streaming a realtime feed to off-site participants, an awareness of technological advancements and the willingness to acquire the skill and equipment necessary to respond to those advancements is crucial. One way to become familiar with the latest advancements is through technology itself: participating in Facebook groups, watching YouTube “how-to” videos, and attending NCRA and other conferences either in person or remotely. Maintaining and improving one’s skill is always a worthwhile goal that will benefit the client as well as the reporter. A trial involving technical subject matter will always be extremely challenging, but it can be more successful and less stressful when a reporter is at the top of his or her game. Some courts even offer pay incentives for additional certifications. Financial considerations: An officialship may create new and challenging financial considerations that are best discussed with an accountant or tax advisor. Although taxes will be withheld from salaried income, it may be necessary for the reporter to file estimated tax payments to avoid underpayment penalties. Keeping transcript income and estimated taxes in a separate account may be helpful. Keeping good financial records is burdensome and time-consuming, but it is a necessary evil. Some officialships require additional record keeping that can seem like “busy” work to the busy reporter. However, this record keeping is simply a job that must be done. The best attitude to cultivate is one of acceptance instead of procrastination. Organization: When time is short and days in court are long, a consistent method of organizing work and maintaining records is a necessity. Constantly prioritizing transcript requests is a must. The “Sticky Notes” tool available on the Windows desktop or the use of Microsoft OneNote can assist the reporter to be continually aware of what task needs the most urgent attention. Proofreading on a mobile device can allow the reporter to make more efficient use of unavoidable time delays. Files can be sent and received from a proofreader using the same technology. Develop a quick and effective way of preparing a job or case dictionary for a realtime feed. This often is the difference between a mediocre and excellent realtime transmission. The official may find it helpful to organize the most urgent tasks at the close of a workday. Teamwork: Unlike the freelance world where the reporter is often working autonomously, teamwork is extremely important for the official. Officials live in an uncertain world of budget cuts and work study evaluations, and they share their world with courthouse personnel who often do not understand or appreciate the reporter’s contribution. Officials often face threats of being replaced by other technology. The reporter’s best reaction in the face of uncertainty is to become invaluable at the courthouse. As with any public-sector job, the reporter will work with a myriad of people from a variety of backgrounds who possess many different attitudes and work expectations. A reporter should always strive to maintain a professional attitude and keep the interests of justice as his or her top priority. Teamwork also includes working well with a future team, the reporters who will assume the official reporter positions of the future. Create a method of communicating with the reporters of tomorrow about how records, audio files, rough drafts, and final transcripts are stored. This lasting legacy furthers the cause of justice. An “In Case of Emergency” file which can be easily accessed by others will ease the transition and save time. The file should include passwords, file locations, account numbers, locations of keys, and any other information the court reporter considers important. Professionalism: It is human nature to have short memories of positive experiences and lingering memories of negative situations. This is one of many reasons for the official reporter to endeavor to develop and maintain a high degree of professionalism. 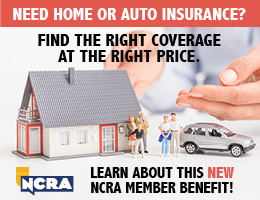 The NCRA Code of Ethics is an additional incentive. Frankly, another reason to always maintain professional integrity is because the legal community is often relatively small and closely knit. A reporter may not know that the doddering old attorney fumbling with the newfangled evidence presentation method used to be the judge’s law partner or that the intake clerk struggling to get a degree may end up clerking for the judge before he accepts a position with a stellar law firm. Reporters should always avoid even the appearance of impropriety. The official who becomes complacent about their duties can sometimes relax this standard and become friendlier with attorneys who frequent the courtroom. Giving advice and commenting on a case is always inappropriate, regardless of how well a reporter knows an attorney. The official should treat everyone equally, both in the courtroom and after the fact. Always strive to honor commitments made for transcript production. Maintain communication with the requesting party throughout the production process if necessary. A late transcript now and then is inevitable and unavoidable, but a late transcript preceded by no communication from the court reporter is unjustifiable. The official sometimes has more flexibility to volunteer with state and national associations, and yet freelancers often carry the lion’s share of this burden. Officials should encourage students by mentoring them if at all possible. This encourages the student and allows them to be more comfortable in an intimidating setting. This connection with students can benefit both the student and the working reporter. Providing pro bono services or transcribing interviews through NCRA’s Oral Histories Program are other ways officials can contribute to their profession. An unknown author once said, “Watch your thoughts, for they become words. Watch your words, for they become actions. Watch your actions, for they become habits. Watch your habits, for they become character. Watch your character, for it becomes your destiny.” Officials should faithfully preserve the record with skill and professionalism, always being cognizant of their contribution to our collective destiny. Risa Entrekin, RDR, CRR, CMRS, CPE, is an official based in Montgomery, Ala. She also holds NCRA’s Realtime Systems Administrator certificate. She can be reached at risaentrekin@gmail.com. In California, freelancers often cover civil trials, and I’ve been reporting more trials lately. I consider myself a pretty good writer, but this pace is phenomenal. No shuffling through exhibits, no 10-minute lulls where the witness is taking their sweet time reading every page of a lengthy email exchange. This is theater. More specifically, seeing deposition transcripts blown up on the big screen for the entire courtroom to see has really given me a new perspective. One thing I’ve learned is that it’s not necessary to capitalize things that don’t need to be (i.e., “I work in the Finance Department” vs. “I work in the finance department”). It’s distracting and looks strange. When in doubt and there’s no rule or reason to cap it, leave it alone. Secondly, please use a proofreader. There were times in my career that I thought, “Who even reads this?” Well, one day it could be a judge, two counsel tables filled with attorneys, the clerk, bailiff, 14 jurors, the official (pro tem) reporter, and anyone observing. On the subject of verbatim: When reporting video depositions, there is no need to include every single stutter, i.e., “It’s — it’s — it’s — it’s the third one down.” One set of dashes is just fine. All the dashes look so awful on the big screen and make it almost unreadable. I know we’re verbatim and the parties make their own record, but a little best judgment goes a long way. I guarantee that the jurors are not counting the stutters and thinking the reporter dropped the ball if they’re not all in there. Then there’s another verbatim thing that I know has been a hot topic: the 2000s. The attorney says, “So it happened in two ten?” The reporter knows the attorney means 2010 but writes “2’10.” I’m not saying this is wrong. However, please picture it blown up on a screen in a courtroom during a trial, with 14 jurors looking at the transcript — and, yes, they do — and the attorney telling the jurors to please disregard the typo. “But it’s not a typo! He said two ten, not 2010,” you might say. If someone doesn’t say two thousand and ten, it’s the reporter’s call on how to format it. But not one of these jurors understands or cares why the reporter formatted it that way. It looks weird and disjointed. In somewhat the same vein, I recently Googled myself to see if there were any privacy concerns I should address, and I came across several excerpts of my transcripts posted online, which again goes to my point. People do read your transcripts! Sometimes many more people than you ever imagined! Tricia Rosate, RDR, CRR, is a freelancer in San Diego, Calif. This article is revised from a post she wrote in the “Guardians of the Record” Facebook discussion group. Tricia Rosate can be reached at rosate.csr@gmail.com. A Sept. 7 article in the Spanish publication La Opinión highlights NCRA members Alma Zapata, RPR; Camille Márquez; and Adriana Montañez, who are all officials in Southern California. The article, which is in Spanish, discusses how each of them came to reporting as well as the benefits of a career in reporting, including salary potential, flexibility, and the opportunity to learn something new every day. The article also suggests that being bilingual is an advantage to learning steno. NCRA President Christine J. Willette (seated) and NCRA Secretary-Treasurer Debra A. Dibble speak with attendees at the 2017 Court Technology Conference. NCRA was proud to host a booth in the expo hall at the Court Technology Conference (CTC) held Sept. 12-14, in Salt Lake City, Utah. The National Center for State Courts holds the biennial conference, which is the world’s premier event showcasing the developments in court technology. The event draws more than 1,500 court professionals from around the nation. The NCRA representatives used the opportunity to demonstrate to attendees the professional advantage of using stenographic court reporters as well as display the latest technology in realtime reporting. They also had the opportunity to speak to judges, IT professionals, and other court professionals. 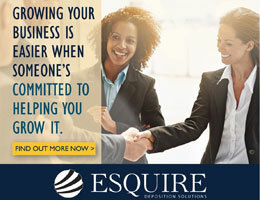 “We experienced great interactions with court IT attendees. The lack of certified stenographic reporters to cover courts was a common theme expressed by many visitors to our booth. They’re really feeling the shortage,” said Willette. “They all love realtime. Many of them who use realtime said they can’t live without it. One judge called her reporter right on the spot to make sure they knew about realtime to the cloud,” she added. The CTC serves as the venue for unveiling the latest developments in court technology to the court-professionals community, giving NCRA a prime opportunity to promote the gold standard of court reporting. “The potentially monumental contacts that can be made at CTC are innumerable and invaluable in view of the broad expanse of crucial decision-makers who attend,” said Dibble. 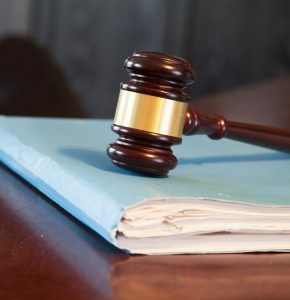 “We met with judges, attorneys, IT personnel, court reporters, and vendors of litigation services and technologies to court systems — everyone is looking for ways to be more effective in their roles to more efficiently execute the judicial process,” she added. Willette and Dibble both agree that having the opportunity to demonstrate the capabilities of stenographic court reporters to those charged with implementing court-technology services helps to open doors and inspire ideas to incorporate stenographic skills into the products they offer. 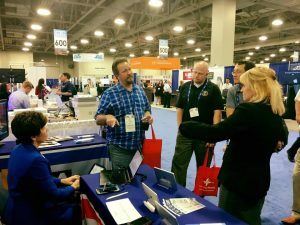 Attending the CTC also helps to keep NCRA members relevant as technologies evolve. “It is imperative that NCRA be a part of that solution-finding process and be visible to every facet of this field. We spent our time listening and learning about the interests and needs of attendees, then sharing with them how we can provide solutions to their needs and how our services create efficiencies to their processes,” Dibble said. The next Court Technology Conference will be in September 2019 in New Orleans, La. For more information, visit ctc2017.org.